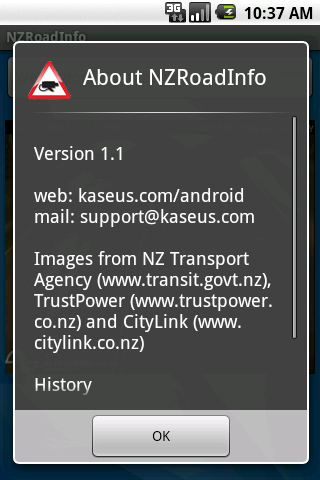 Free from the android market, search for "NZRoadInfo". 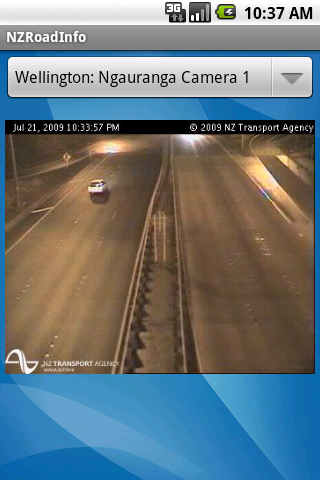 New Zealand traffic cam images from Auckland, Wellington, Christchurch and Tauranga. The last displayed image will be displayed on start. The image will update every 1-5 minutes depending how often the source image is updated. To select another image touch the drop down list at the top and select another camera location. Pressing the phones menu button will allow you to display the About box.